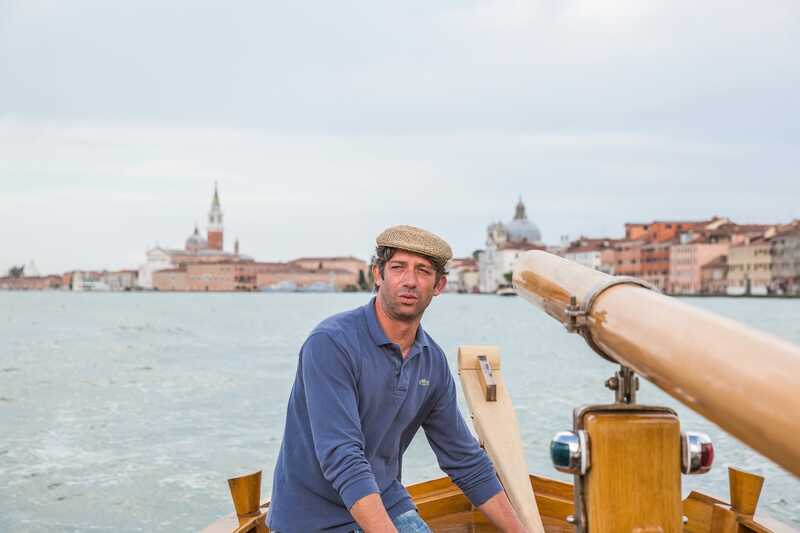 Hello I’m Marco Cimitan, 41 years old and born in Venice – a city I know like the back of my hand! I’ve been sailing boats for over 20 years and working for the city’s most important luxury hotels for 13. Finally, after 4 years of painstaking restoration with the help of a master craftsman, I have achieved my long-held dream of sailing the lagoon in my very own boat ‘Narciso’ – a wonderful traditional wooden vessel called a ‘bragozzetto’ the like of which I remember from my childhood and which now offers my passengers the opportunity to experience the special emotions and memorable moments derived from navigating the waterways of Venice. Upon request, lagoon tours can be organised to last as long as guests may wish, from aperitivos at sunset – ideal for those visiting the city for just a few days but who’d like to get a taste of the romance and atmosphere of the Venetian lagoon – to more detailed half or full day itineraries spent exploring enchanting and exclusive places well away from the hustle and bustle of the tourist crowds. 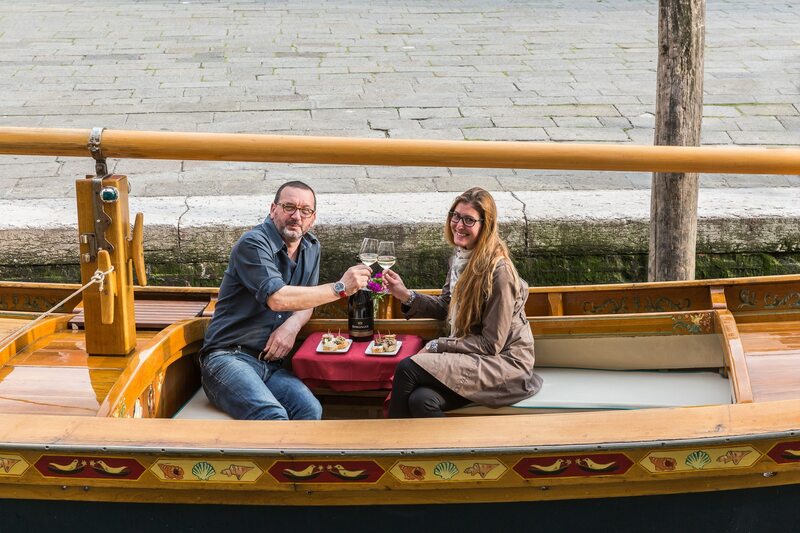 And what’s more, we’re currently putting together a very special tour specifically tailored to food lovers in which our visits to beautiful and charming locations will be coordinated with onboard tastings of traditional regional and Italian food and wines allowing guests to re-discover the simple joys of authentic flavours in sublimely gorgeous surroundings. After almost one week of exploring the alleys of Venice, visiting museums and many gelato breaks, we wrapped up our week with Marco on his traditional Venetian boat, a bragozzetto. 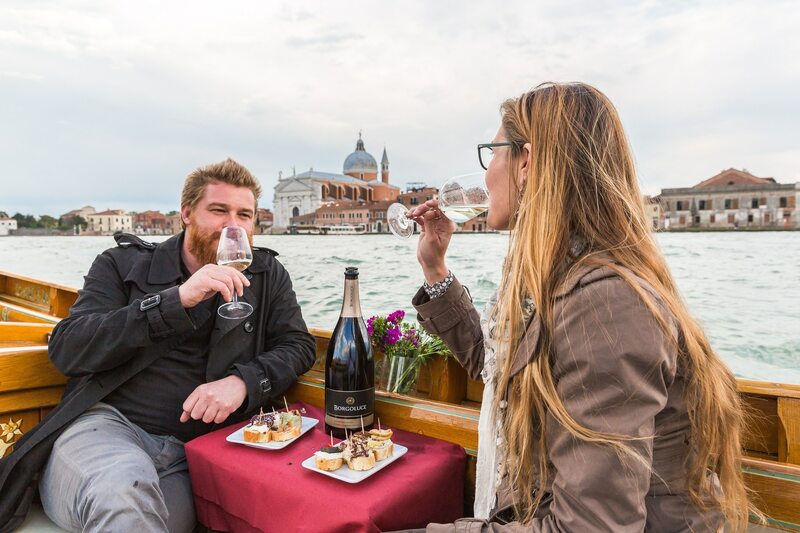 It was an exceptional finish to our stay in Venice. 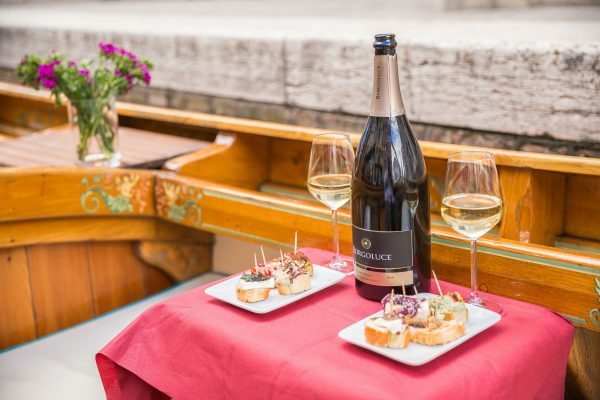 Marco picked us up in his beautifully preserved boat at our agreed spot and we started the tour with a glass of prosecco he brought for us, and some very good cicchetti. Marco let my 5 year old, steer the boat through some canals of Venice, using hand gestures to gently guide him. He took us into the Arsenale, where we saw a dry-docked submarine, coast guard and naval vessels. And then we were on to the islands - Burano, Torcello, San Francesco del Deserto, and a brief stop on Murano so the kids could buy their souvenirs. We travelled through the channels of undeveloped islands where we could imagine the lagoon of 1300 years ago, before Venice existed, making me realize anew just how amazing the city's existence really is. We passed smaller islands where people live quietly and saw a car being delivered on one - even Marco had to laugh at that. We watched ladies making lace on Burano, stopped for some fried fish on Torcello, and visited the Byzantine church there. I loved San Francesco del Deserto, a beautiful Franciscan monastery. 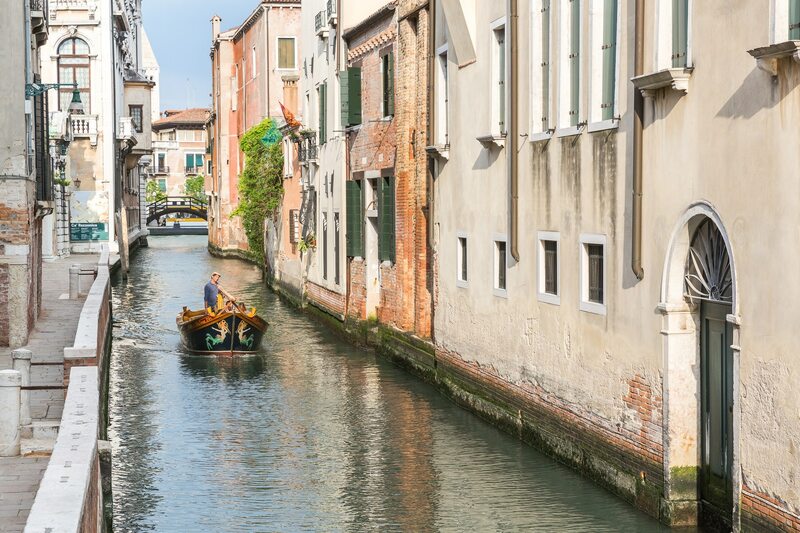 This lush green island was a quiet oasis from the bustle of Venice. 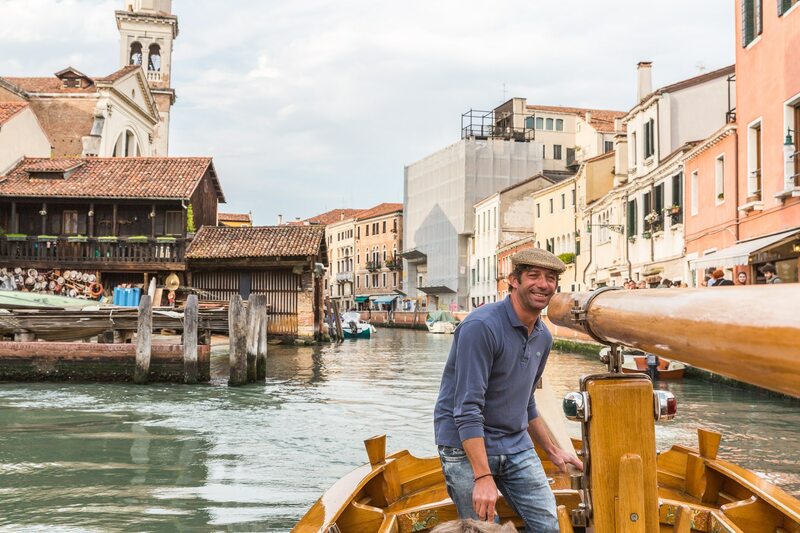 Marco showed us a side of Venice and the lagoons we could not have seen any other way. He was professional, pleasant and easy-going. He was eager to show us the Venice he obviously loves, and made me fall a bit more in love with this remarkable part of the world.